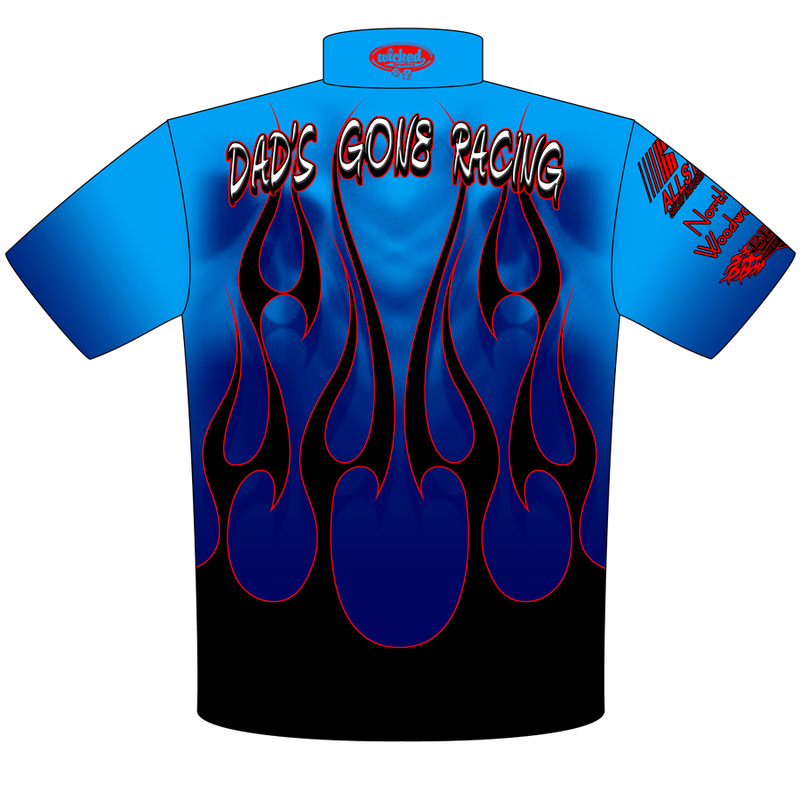 develop our new team shirts as well as T shirts for the fans. I can’t tell you just how thrilled I am with the work from Wicked Grafixx. 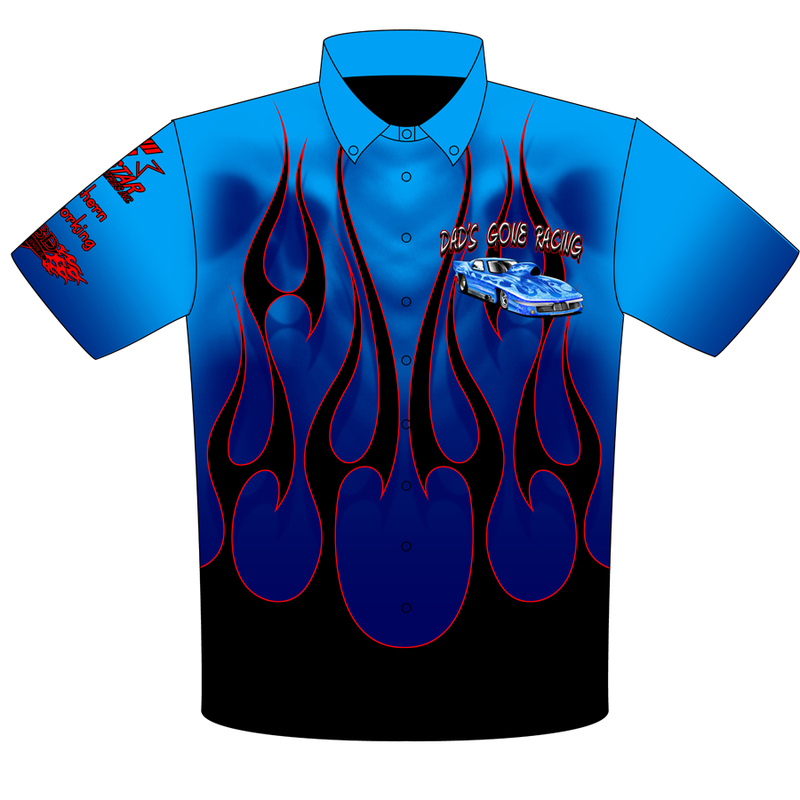 They say they are the “Baddest Shirts in Drag Racing”, I have to agree. Here are some sneak peeks at the artwork Tyler has done for us. 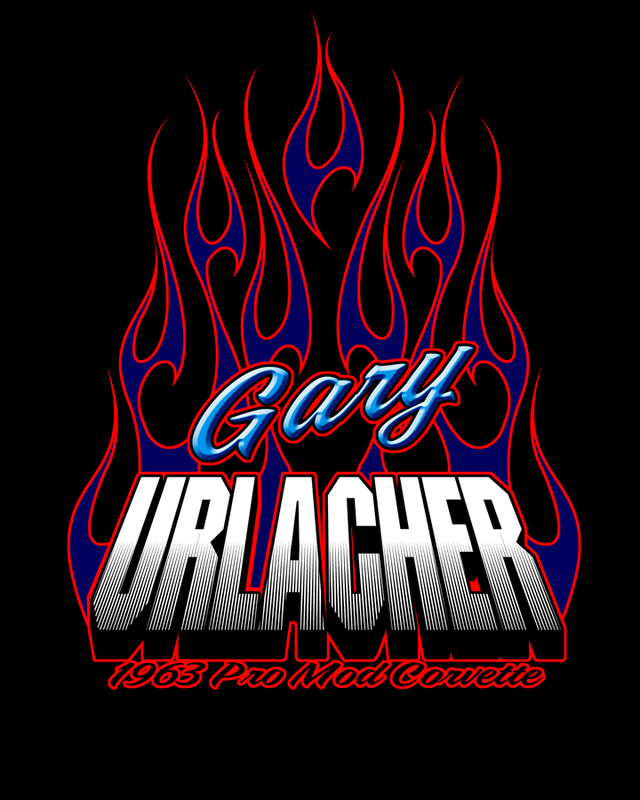 Please note that all artwork is property of Wicked Grafixx and Gary Urlacher. 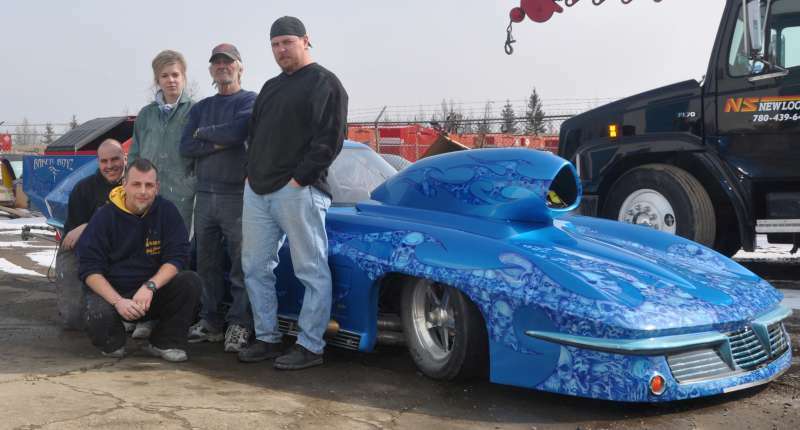 We are going to display the car at the Red Deer Speed and Custom Show. at the event. 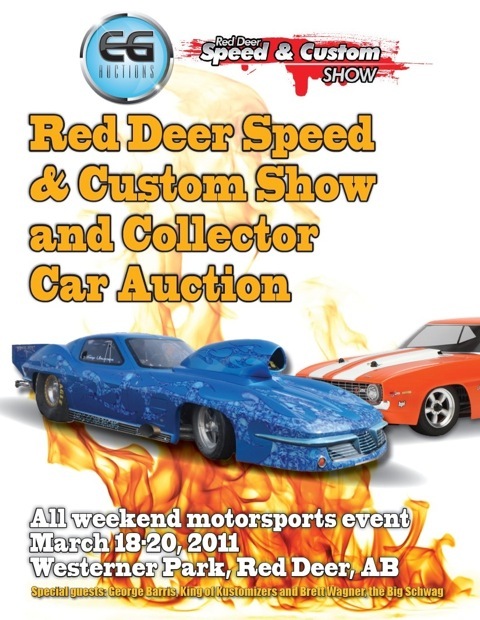 Come on down March 18 - 20 and support Motor Sports. The spare motor has been fitted, the Bruno Lenco is complete and installed. All the wiring is done, Carbon Shaft fits, CO2 system gone by by. All the needed equipment to meet GSA rules is done. Just need to do some work on the trailer and golf cart and we are ready for testing. Things are in progress for 2011. The car configuration (driveline) is completely different from 2010.
will be ready in time for testing. in case we need to use it this year. The hood scoop is in for repair thanks to an operator malfunction. OOPS. with 4 big events back to back. Shall be interesting. 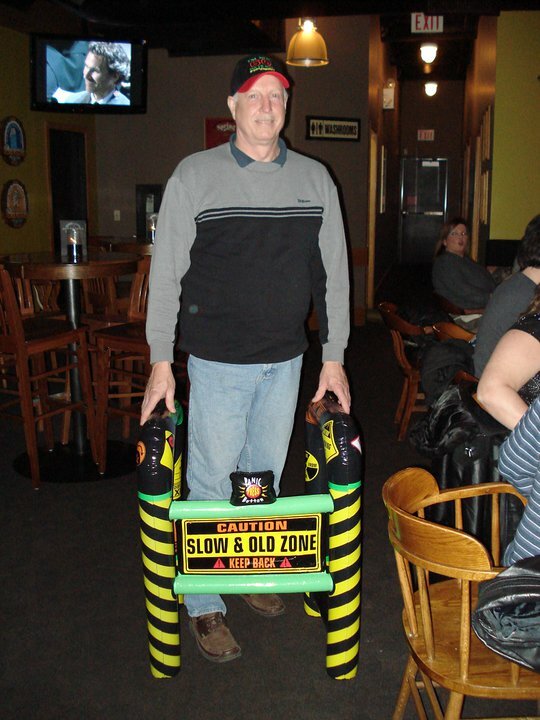 Jim (Crew chief) is celebrating a very big birthday. I guess I am having trouble making up my mind. Sell or keep. 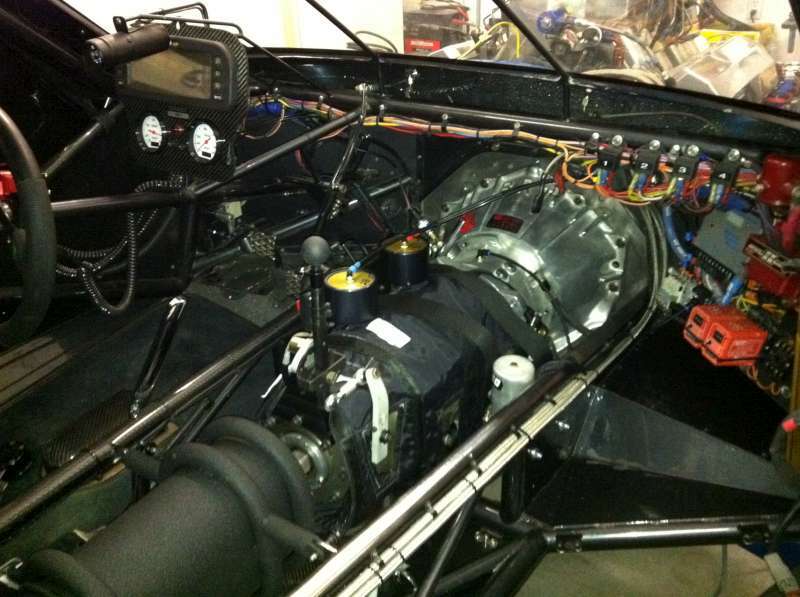 I was going to keep it as a spare becouse it is a great motor and trouble free. I got an chance to get the twin to the 787 so that is what I am trying to do. 20 nitrous passes on it. Check it out in the FOR SALE section. Have to decide on a direction for 2011. 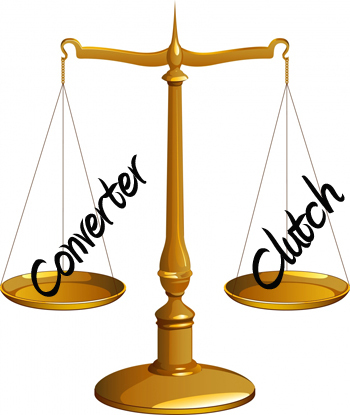 We are thinking we should go with a 4 speed standard for 2011.
clutch cars. I see a 4 speed Lenco with a 3 disk ram clutch in our future. 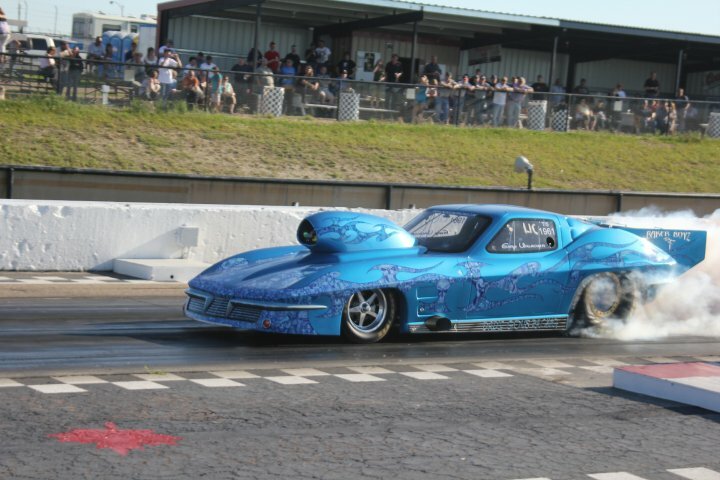 who are participating in the Street Car Super Nationals. including the one and only Pat Musi. 5.3" bore space super motor. The 787ci monster motor is installed. new headers built instead of tweeking the old ones. We are saving them for the 632 (spare motor). so we should have them mid October. The engine change over has started. Time to install what was known as T2. Wow, this year went by so quick it seems. but I do not think I will be ready. for the new engine. I think I will go to watch this year. We did a run in Saskatoon that got a little out of shape. on the rear suspension and did some rocker damage. put out foot into it if it is out of shape. Not worth it. Kept it in our lane but it was a hand full. working hard to make a strait pass. I got out of shape on a pass and I am thinking I broke a rear axle. Videos are posted on the gallery of this site, have a look. participants. Thank you for the invite, we shall see you then. Come check it out. Maybe we can race a diesel truck?? Why not, some of them have nitrous as well..
Great People in this sport. were very much looking forward to participating in. We got set up and had time to spare. had self destructed. The bad part is that we did not have a spare as these failures are not common. so there were no spares at the track. Dale Bristow (a fellow racer from Edmonton) went out of his way to help us out. so we could get up and running to make our scheduled pass later that night. He gave up his time, watching the race and some fuel to help out a fellow racer in need. How-ever can I repay you Dale for what you did, I truly hope there is a time when I can return such a favor. The best part is that his box did the job and the car fired right up. We ran a 6.902 on a .003 reaction time. It was a nice pass yet not strait at all. it would have been a 6.8?. Thanks again Dale for your help and allowing us to make that much wanted pass that night. 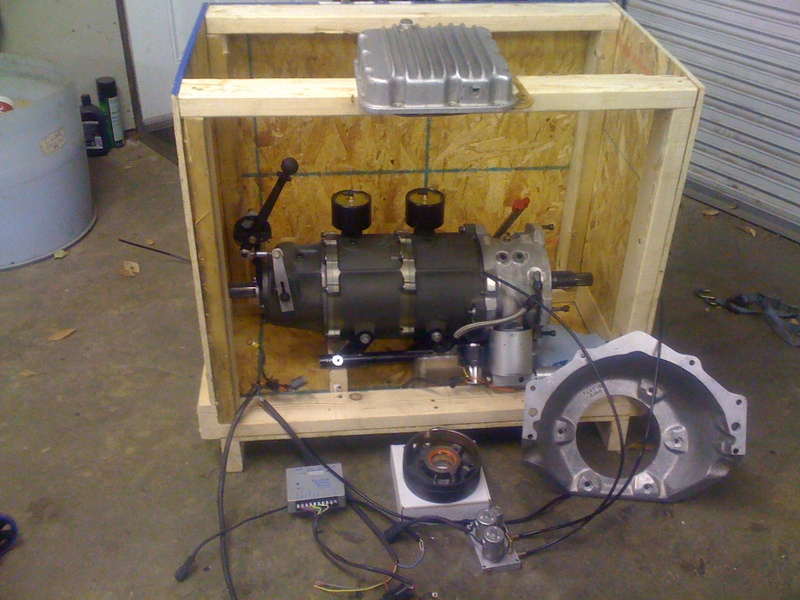 The date to pick up the 787 Cubic Inch monster motor is set. The beginning of Sept will be exciting - Then the change over begins. This is one of Castrol's largest events of the year. 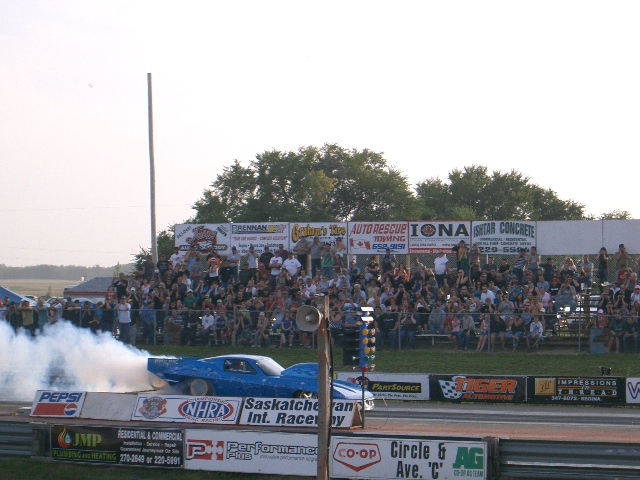 One of if not the largest Jet car show in western Canada. has a really nice Blown (Super Charged) Promod. Cheer for the one you like most. Should be lots of fun. Lets hope for some nice weather. 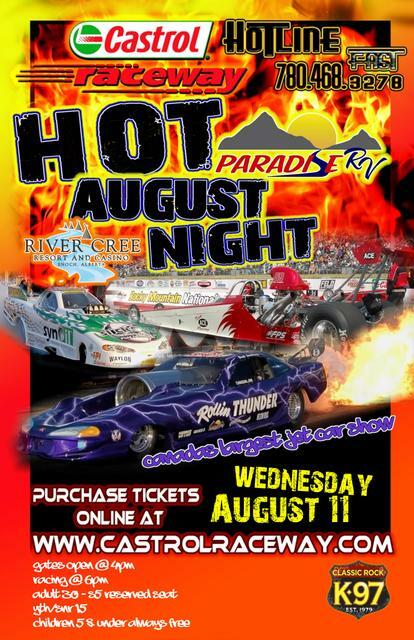 Racing Days are numbered for 2010 - You should go to this one!! Saturday the weather was great. Made 3 qualifying passes and got into the field. before we can run a desired ET. Sunday eliminations were rained out. really great people and it is a very professional organization. 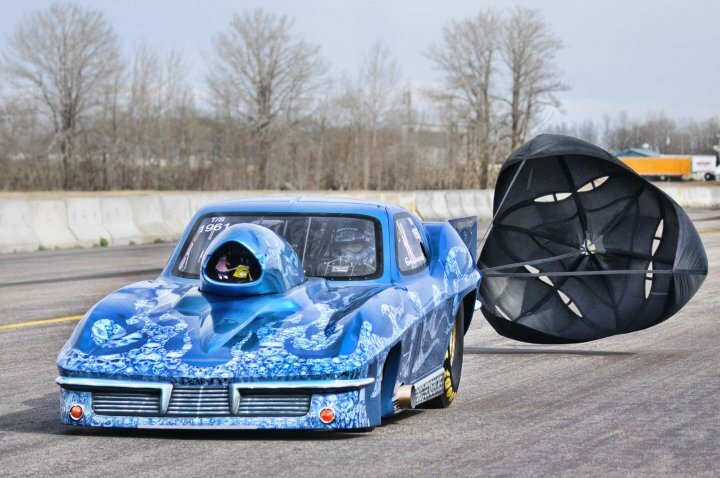 Drag Race Canada did up a nice write up on the car from the Rocky Mtn Nationals. Going to race with the West Coast Promods this weekend in Medicine Hat. apart of that and are thrilled to do so. Our Pat Musi power plant is up for sale. I will count the runs on it and make up the add. keep checking our FOR SALE section for details. With the 787 in the works, we can't keep both. 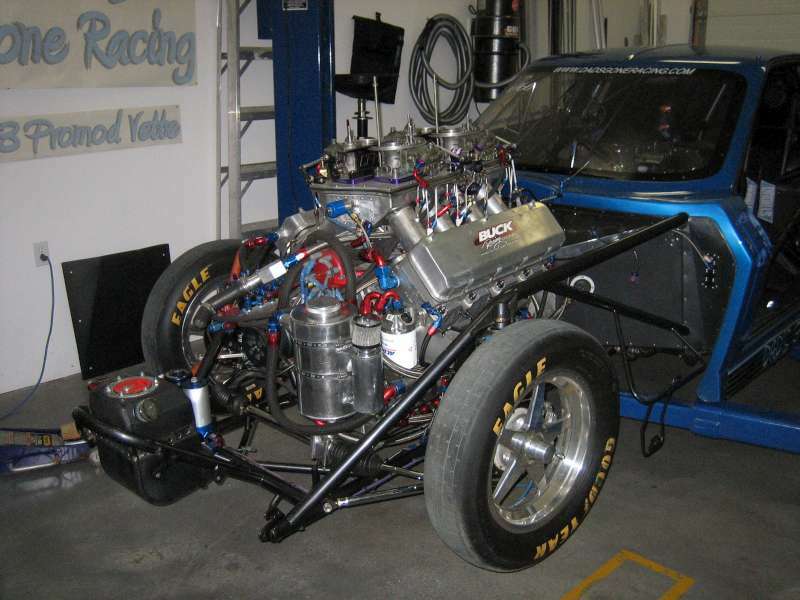 It is a great motor that can get my 2500 LB car down the track in about the 6.8s or so. Very few nitrous hits on it. No problems of any kind with it. Just going bigger. The game plan all along was to run the car in Promodified (Promod). to do without the experience of the pro's that we find within this club. 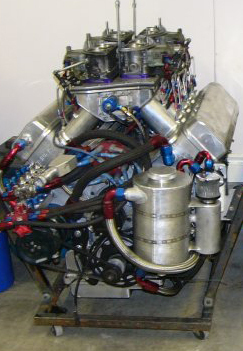 The 787ci -4 stage nitrous monster. The time has come and we have made the commitment to move into Promodified. There is a 787ci Promod motor coming our way and we should implement that this coming winter. decided to make the change. This year we will finish the year off with the 632ci Musi motor and get it to our goal of a 6.8 pass and we think this is possible. this motor than we have used as yet. In the switch to the big inch promod deal, we will find a way to make simple changes to switch between Promod and Top Sportsman. Stay tuned for test reslults from our 632 going on steroids..
We had such a great time at this event. It was a pleasure to race with so many great people. We made it into the elite 8 and did some heads up racing with a 4/10 sec pro tree. This is our kind of racing and we are not very up on the use of todays delay boxed etc. We qualified #1 in our class for the weekend. Great times, Great People. Many thanks to the staff of Castrol Raceway and the great people of the IHRA. Results on Rocky Mtn Nationals coming soon. Check them out under the gallery section. Wall Taggz are removable decals that come in 12" (that is car size). consist of the car the car info and the background. You can put them on your wall and remove them without any damage to paint or wall paper. Who knows, Maybe they stick to your fridge! 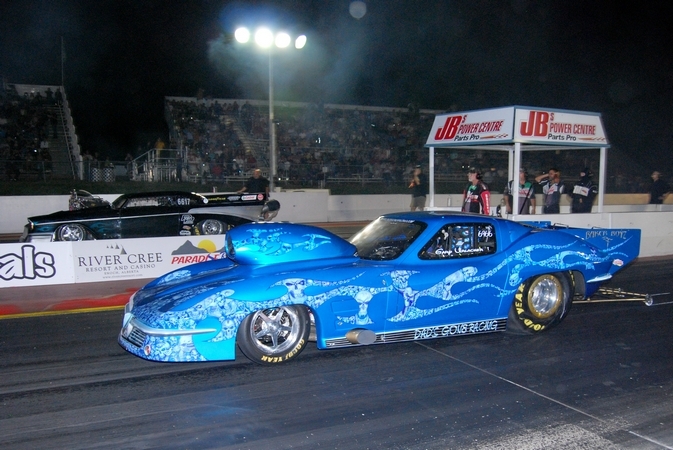 The 2010 IHRA Rocky Mountain Nationals are just around the corner. Looking forward to participating this year as all the events in the past I have just been a spectator. There are lots of people coming out to support our team. Can't wait to see everyone. Hope we have some good weather. It was a licensing weekend for me and made my required passes for the Advanced ET license from NHRA. go toward to center as well at the 1000ft mark. I had to abort that run. breaks and bounced the car to a stop (just in time). past the last turn off. Needless to say, we got the job done anywayand sat out Sunday because of the track. are not getting paid to do so. I must say that the air there is good. You can make some power there. Had our best 60ft times. My guess is that track is 1/10 sec faster than our home track. That is a lot at these speeds. They are going to be grinding the track I heard. Then it will be great..
We watched my neighbor run his car making a 5.7sec pass. Not bad for a spare motor I'd say. Almost ready for the Top Alcohol Shoot Out in Medicine Hat Alberta. to make some 7 second passes with our hot rod. 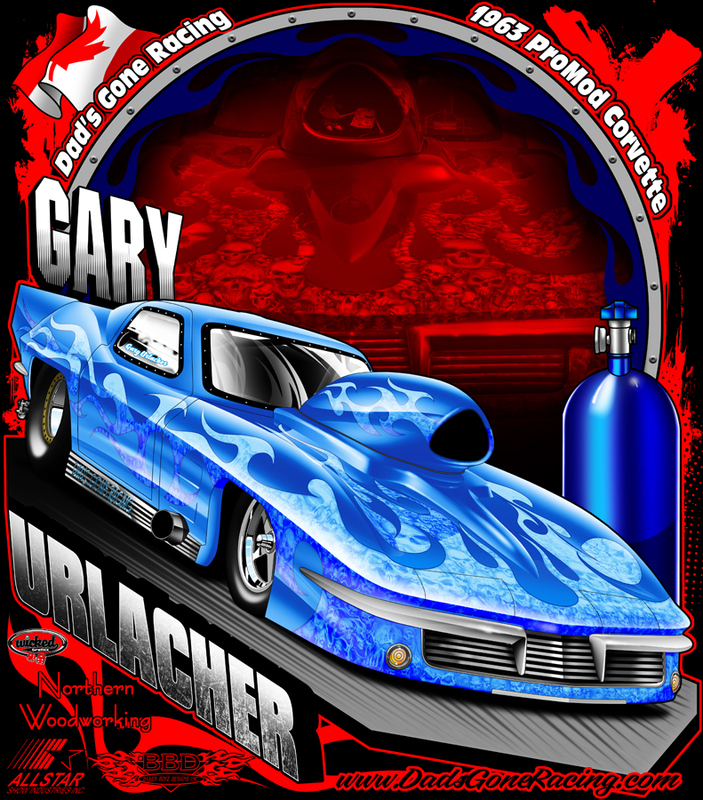 Lets all wish Greg and Elaine Sereda the best of luck with their "Gone Plum Crazy" Top alcohol dragster. 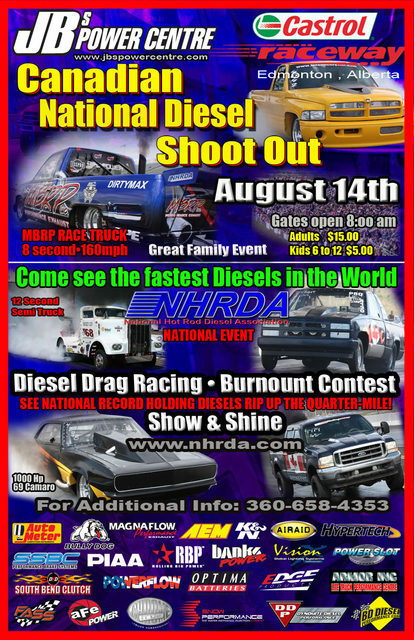 This was to be a licensing event for us but the NHRA have approved previous passes and we are off to play. Weather was good (for a change). Did some OK passes on the saturday. The right lane was slick for me. Spun the tires every pass, had to get out of it then back on it. 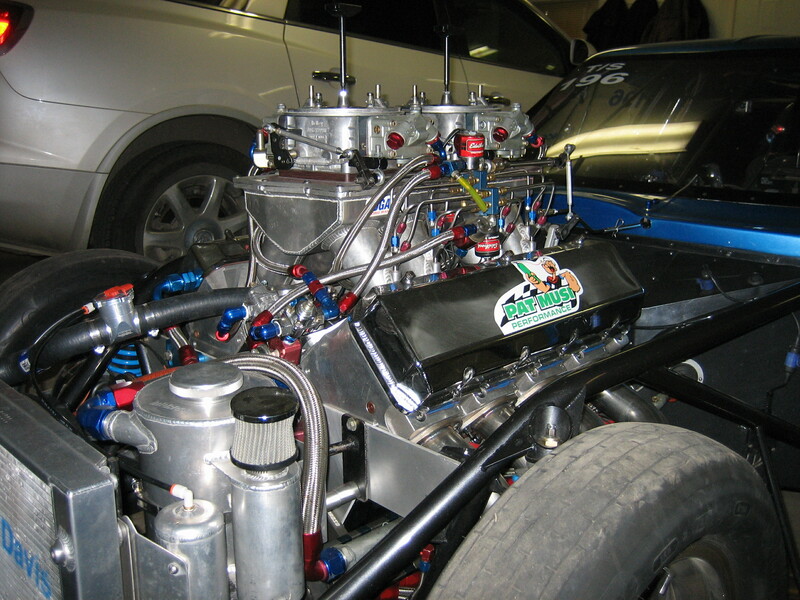 Sunday was to be a nitrous day and the starter on the car went when we wanted to do the morning warm up. It seemed like it was going away on the Saturday as well. We rebuilt the starter and were able to make some fun passes that afternoon. Had a bit of a match race with a racer buddy - lots of fun. A COUPLE OF NEW VIDEOS ADDED IN THE 2010 SECTON. New items in the for sale section. Have a look. It was to be a weekend of testing to get into a low 7 or high 6 needed for Medicine Hat in a couple of weeks. Not going to be the case. Snow both Saturday and Sunday. May 29 - Old Camaro stikes again. Allan who bought the Camaro entered it into a car show in Mississauga Ont. on its way home to Nova Scotia. The car got 3 first place awards. Best Engine, Best Paint and Show Favorite. Congrads to you on your winnings. I knew that car would do well and even in transit with an unplanned show it does well. Interesting weekend, all our effort this far has been getting the car sorted out. Not worrying about "cutting a good light". were slowing down do to the change in air. Our MPH went up with every pass yet out predicted ET was BANG ON THE NUMBER. We are now able to focus on the tree and it will not take long and we will be winning some races. The car is now up to its target ET on motor alone (no spray) yet I feel there is more in it. we do long burnouts when we do not need to are not understanding something we are cooking down the road. The car is a big hit with the kids. That is what it is all about in my books. We race to have fun when others only focus seems to be on winning. That is great but having fun and making kids smile is just a rewarding as winning some prize money in my books. May 1 testing came and went. were one car away from the burn out box. Straped in, ready to go and rain YAY. rev limitor and that is all I thought about. Oh well, there is always the next weekend. At least we are having some fun. Assuming it stops raining, we are ready for testing this weekend in Edmonton. Made a few changes to the car besides looks and it shoud make a big differance. Just need to pack the car in the trailer and we are ready to go. 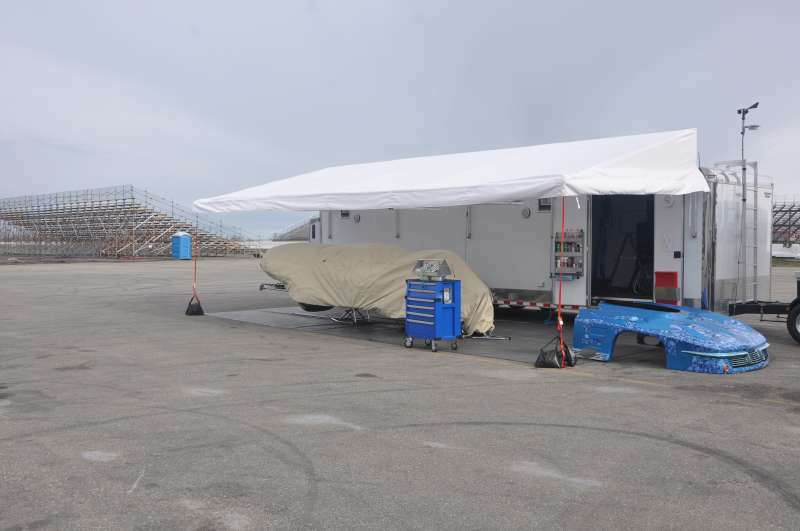 Should get a chance to try out the new awning on the trailer. Seems to be OK to set up. 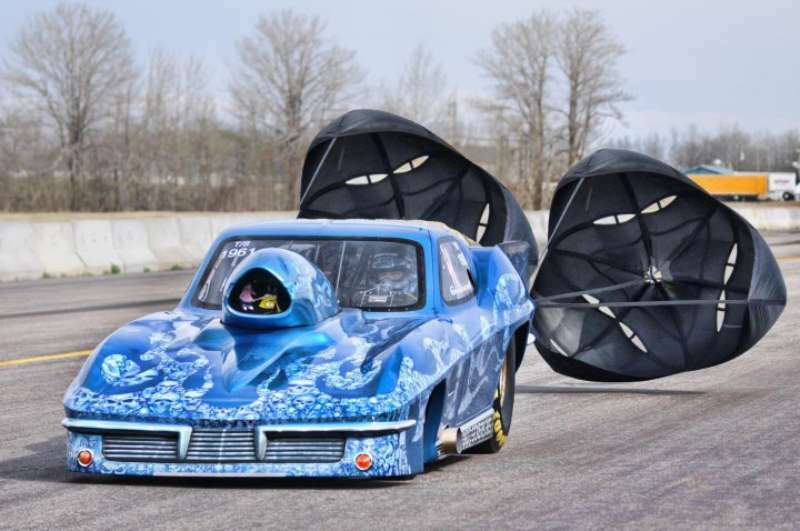 We are planning on watching the street legal this Friday and camping out to be ready for May 1 rain or testing. to help promote the 2010 Powerama Motor Expo car show. It was a thrill being asked to provide the car to be used for the shoot. Here is the link to the Edmonton Sun. "I will never sell it". I am told to never say never. I could not be happier in knowing the person who now ones my first "Hot Rod"
will be taking good care of it. To Allan and his wife I say enjoy. The car was picked up early this week and is on its way to Nova Scotia as we speak. The funny thing is, on its way to its new home, it is making a stop in Mississauga Ont. as it is booked into a car show. I can't wait to hear the out come of that. Good luck Allan, I am sure it will bring home a big award or two. Joined the Top Eliminator Club in Edmonton. Some of the nicest people I have met. Will be fun to race with them. Come check them out at a race track near you. Yesterday was an exciting day as the car was ready for pick up from Baker Boyz Designs. 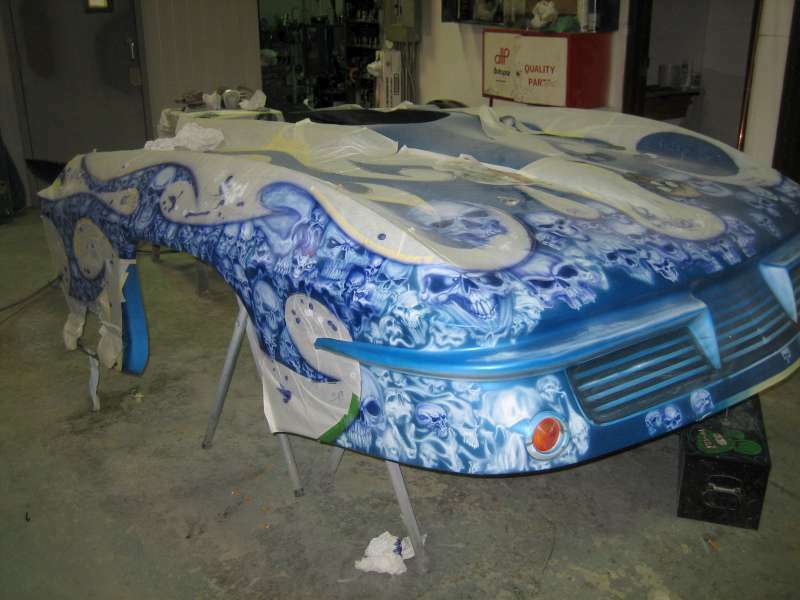 I can't say enough about how much work these people put in to this paint to make it one of a kind. looking at each of them as they all have their own personality. project. Your efforts will not go unnoticed. Thinking of changing out the glide for a 3 speed Lencodrive. If anyone has one on the market, I am interested in it. 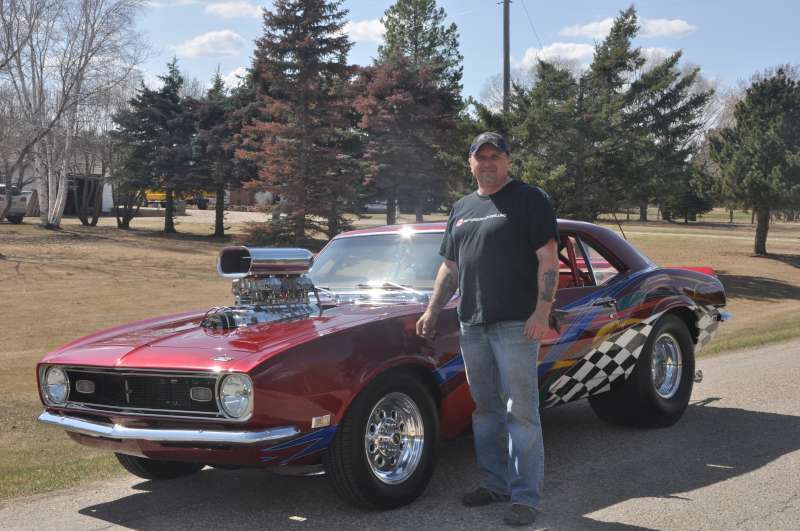 After over 20 years, it is time to sell of my first hot rod. 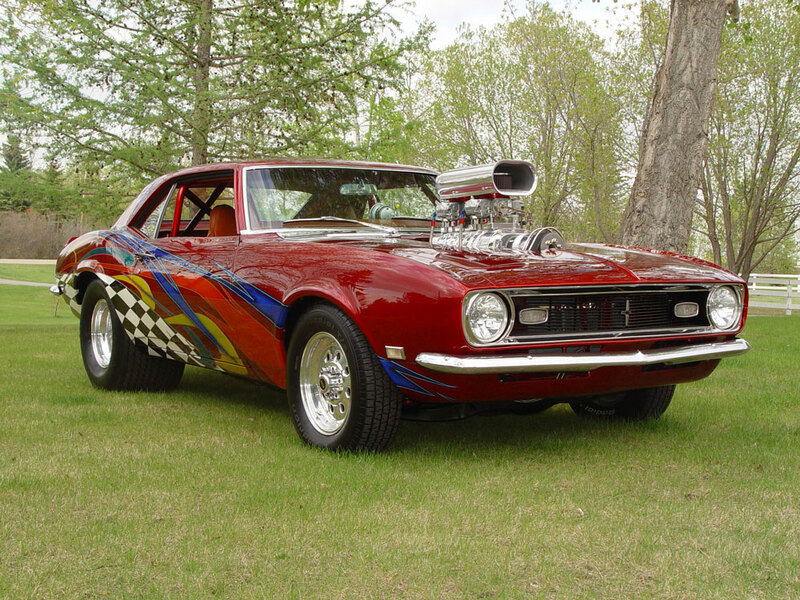 My Camaro has always been "My Baby" so to speak. It has and still is a car that people talk about. From pictures in race parts advertisements to calendars and car show program centerfolds, We have to say goodbye. 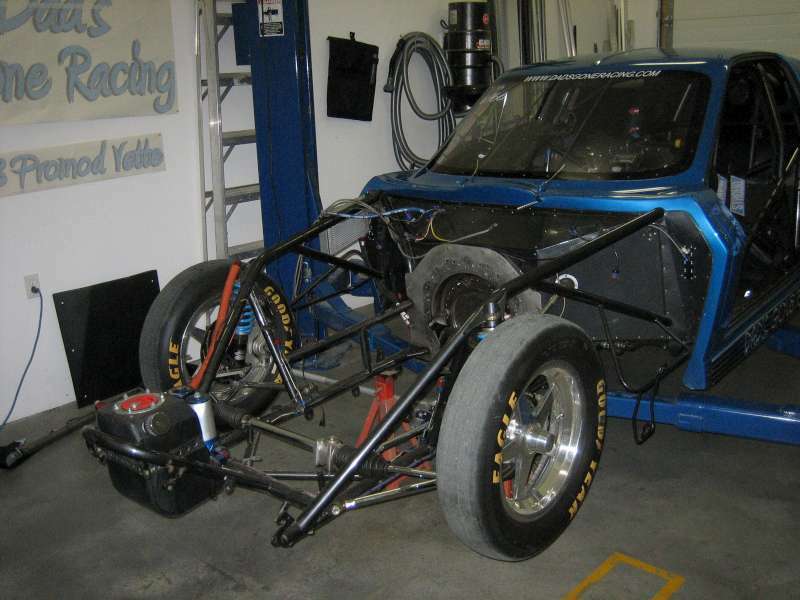 Due to the growing expense of racing in the class we are moving into, I can't afford to keep this car any longer. It is time for someone else to enjoy the thrills that come with this car. From winning car shows to causing people to stop at green lights to have a look, It will be missed. Please check out the for sale section of this site for details. 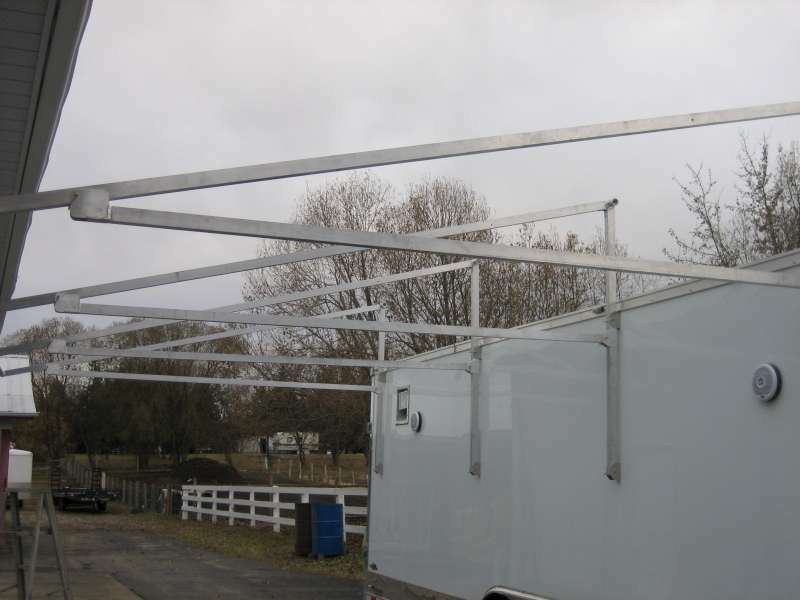 After pricing out “Pro Awnings”, I thought maybe I should just build my own. Not as simple as it seems but should work out OK in the end. Looking forward to having it complete for the May test session 2010. Thought it would be best to get a jump on it for next year since the weather is OK. It was time to dress the car up for a new look. We dropped it off at Baker Boyz Designs in South Edmonton. point but what we are going to get far exceeds our expectation. You guys are going to make some heads turn once again. We got the car all assembled and made a few test passes. 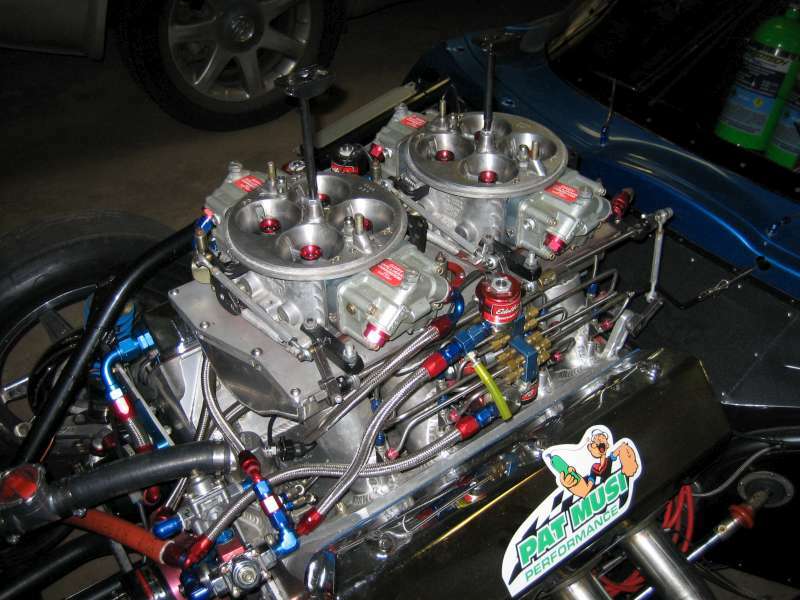 and we are planning on adding the nitrous within the first couple of runs in the spring. Planning on some high 6 second passes in 2010.